Bible study resumed last night at Mother Emanuel AME. Congregation members have reclaimed a space that was so heinously violated only a week ago, and families will begin laying loved ones to rest in the coming days. The Charleston community has entered a new phase of mourning and healing… It’s a time for reflection. Our thoughts and prayers remain with the friends and family of the 9 who were taken. We admire their strength and resolve, and we are proud to be part of a community that seeks to live out their example. Messages of love, support and unity are the most important takeaways from this past week, but the way in which those messages were spread is also noteworthy. Charleston’s response to the June 17th shooting has gone viral on social media. The consistent and persistent use of hashtags has helped us to unite quickly and has given the outside world a real-time, inside look. The Charleston Chamber of Commerce has used #CharlestonStrong to help local business owners rally in support of the Mother Emanuel Hope Fund. 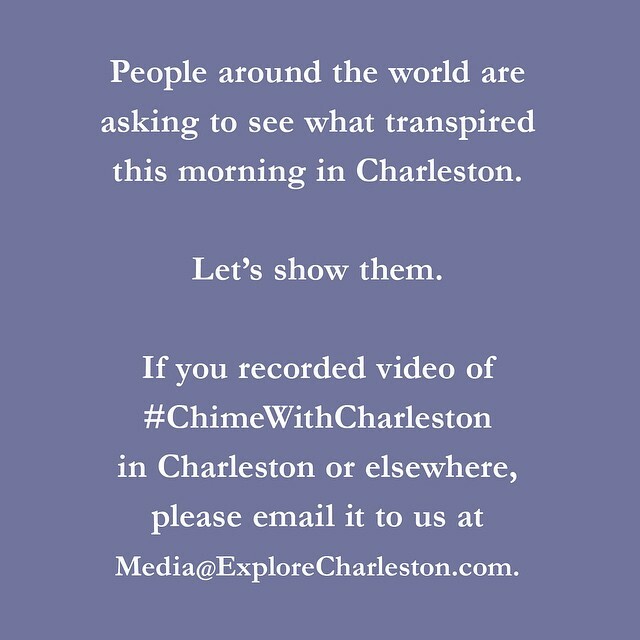 They created a web page with details, and participating businesses used #CharlestonStrong to join what is now a national conversation. Within a few short days, hundreds of churches received the message and were ready to chime in on the 21st. The CVB closed the loop with some follow-up posts encouraging churches and community members to share video footage with the world. The Unity Walk, which quickly became known as the “Bridge to Peace,” was organized by Darcy Creaturo, Dorsey Fairbaim, Lauren Vicars and Gnosha Burk. These “ordinary” citizens teamed up with The Town of Mount Pleasant and The Mount Pleasant Police Department to create an official city event. 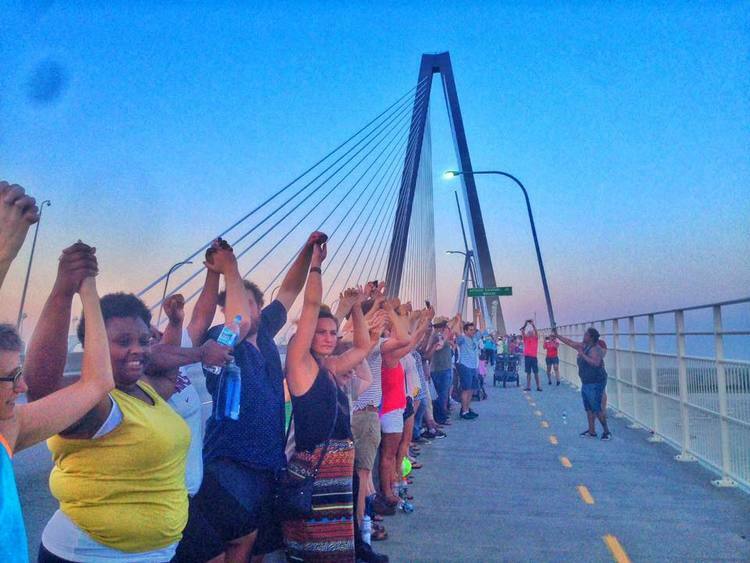 The press release (available on the MMPD blog) went out on June 20th, and the following day, thanks to a Facebook event and a whole bunch of shares, more than 15k people joined hands on the Ravenel Bridge. Event specific hashtags, which were closely linked to other conversations (like #Charleston and #PrayForCharleston), have and will continue to reach millions.